Reproduced from gas lights originally made by R. Williamson & Co., Chicago, Ill. 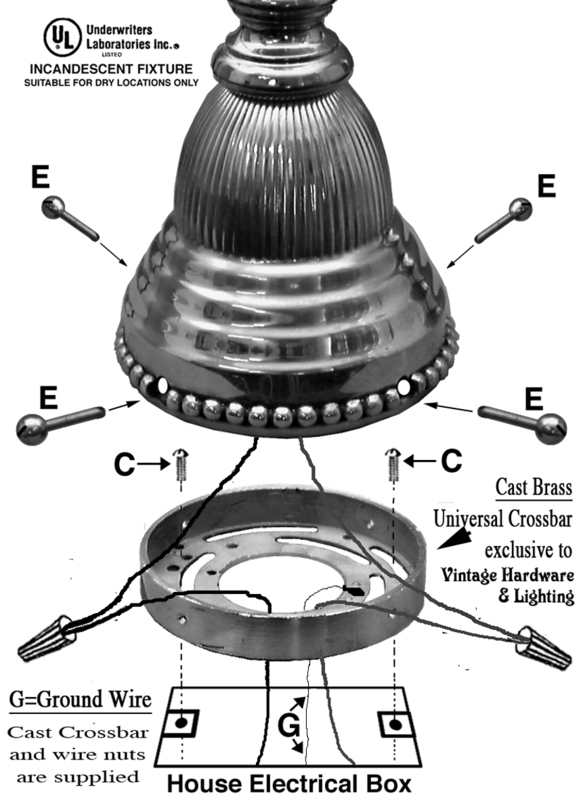 This fixture would have been featured at the bottom of the staircase, at each turn of the staircase, and along an upper "balcony" rail on long hallway stairs. 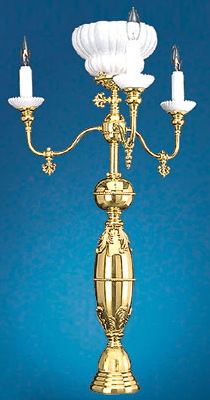 The center vase of solid brass reflects light, & we have left the original "gas key" on each arm for authenticity. Fully electric for your convenience! 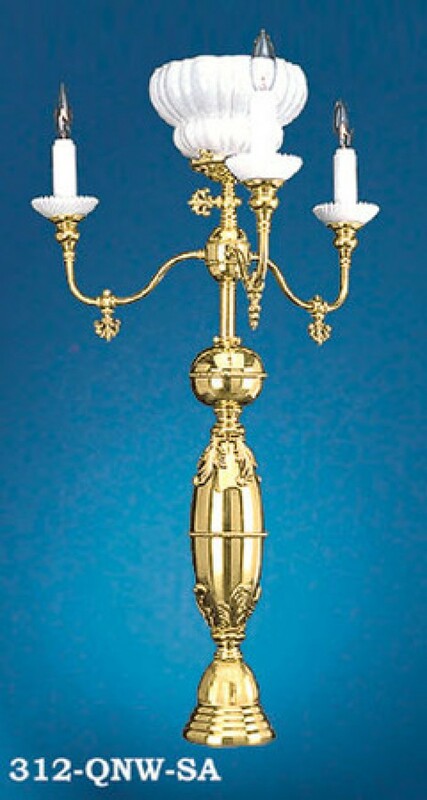 Imagine this light on a dimmer switch, to truly simulate candlelight. Note: Shortest height possible is 19". Fitter Size: 4" for the center shade (sold separately). 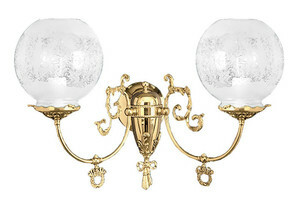 Glass candletubes & drip savers are included with this fixture. 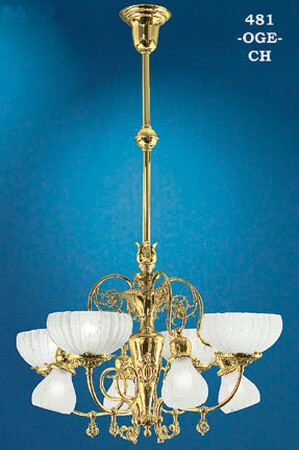 Wattage: Three candelabra bulbs up to 75 watts each, and one standard medium base socket rated up to 100 watts incandescent. 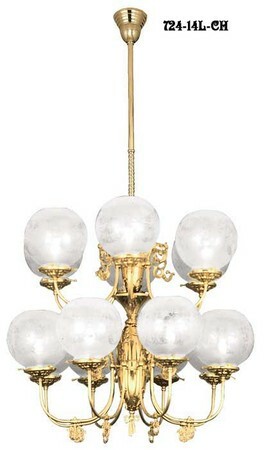 Sold with the milk glass "gas" candles and drip savers, but without the center 4" fitter glass shade. 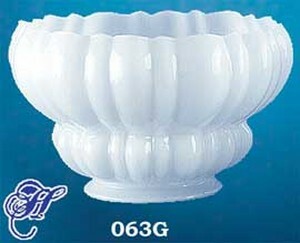 We picture a lovely melon shape milk glass shade that matches the candle tubes well. Over 20 shades to choose from on our 4" fitter size shades web page to match every decor. These fixtures are wired in place, and used with a wall switch. You can request an On/off switch available on the base for an extra $25.00.